Up your kiddo and cargo carrying game with this super handy handrail system. 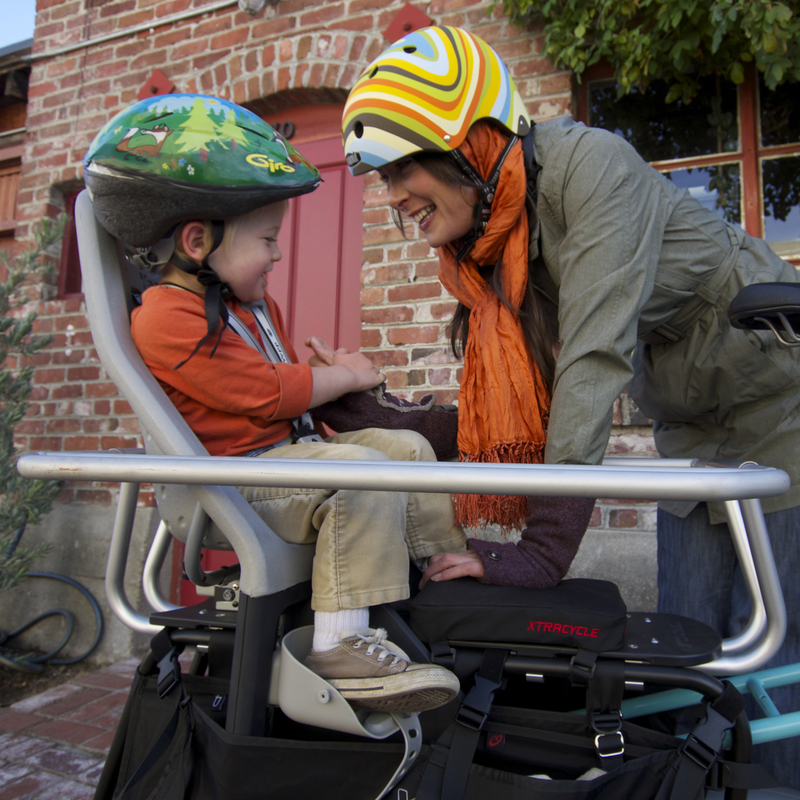 The LT2 Hooptie lets kids and parents feel safe and secure while riding, and will hold up to 1 adult or 3 children when paired with the U-Tubes for feet support. Those looking to carry cargo can use the Hooptie to contain cargo on the deck – i.e. milk crates that can increase carrying capacity – or it can be used as attachment points to hang cargo off of, like bike camping sleeping bags. 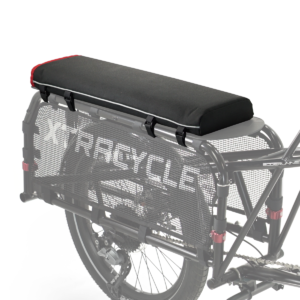 The LT2 Hooptie is made of a front and rear metal upright bracket that installs onto your LT2 V-racks (newer Xtracycle models only) or LT1 v.2 FlightDeck (older Xtracycle models and Surly Big Dummies), and two removable and adjustable horizontal metal and foam padded hand rails. 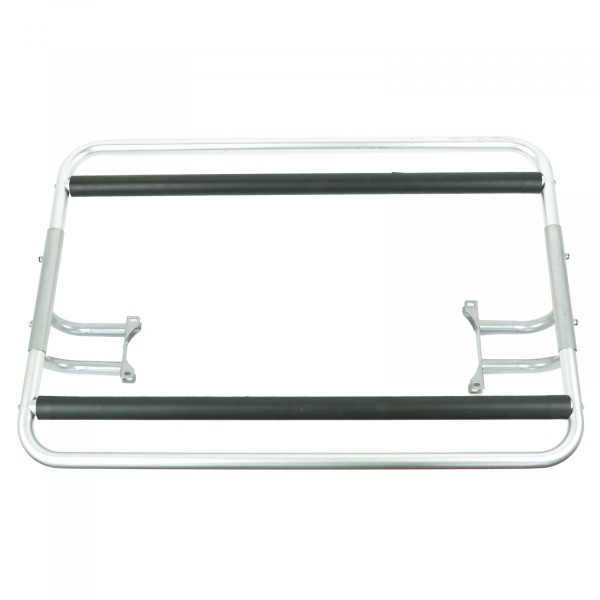 The hand rails have both an inner hand-rail (covered in a black foam padding) and outer protection rail that helps defend your precious cargo’s hands on every ride. 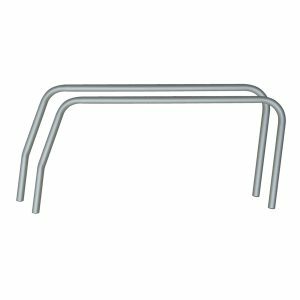 The inner rail can easily be removed for carrying larger loads. With 2 adjustable width settings, the wider setting accommodates Yepp Maxi EasyFit kids seats, and the narrower setting is great for a safe and snug fit without a Yepp kids seat. 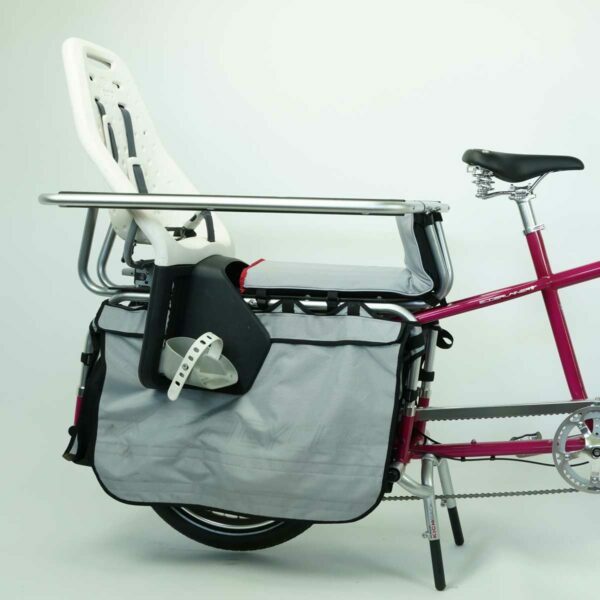 TO PROTECT TINY TOES (AND BIG FEET), XTRACYCLE WHEELSKIRTS OR BAGS ARE REQUIRED WHEN RIDING WITH PASSENGERS. Either the LT2 FlightDeck (no Hooptie Retrofit Kit needed) or LT1 version 2 FlightDeck and Hooptie Retrofit Kit are necessary to install an LT2 Hooptie. What do I need to install a Hooptie on my deck? I have a Trek Transport. Can the Hooptie be installed on it? Will the Hooptie (with or without conversion kit) fit the Yuba Mondo? I have a felt cargo bike – could we adapt the hooptie to fit? Would this fit on the 2018 radwagon bike? I like this design better than their monkey bar option. Great question, Audrey! Unfortunately the Hooptie will not fit a RadWagon. The only bikes that are compatible with the Hooptie Xtracycle brand bikes and Surly Big Dummies with a plastic FlightDeck. Can it be mounted to a Trek Transport? Hey there, David! The Hooptie is not compatible with the Trek Transport. Bike Friday makes a hand rail that might work – I’d recommend reaching out to them! 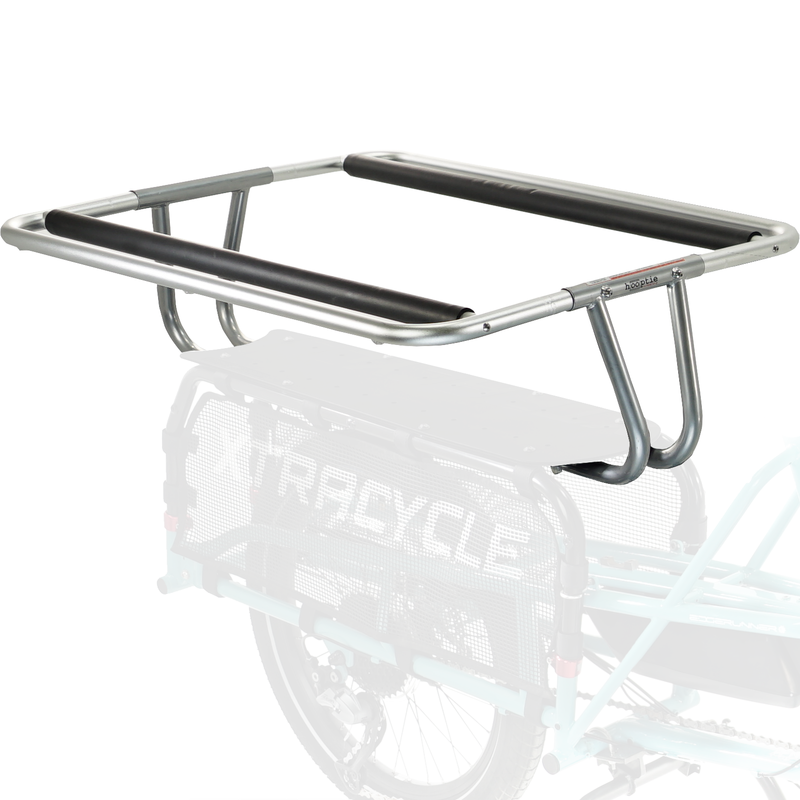 Can I use the Hooptie on any bike or just an xtracycle? I love this product. I have two kids, 4 and 2yrs old, and wanted to be able to bike them around but wanted to make sure they were safe at the same time. Both my kids love riding in the hooptie and I love it because I know they are safe and secure. Installation on my Surly Big Dummy was easy and with a few custom modifications for my little guys we are ready for adventure. Bravo. 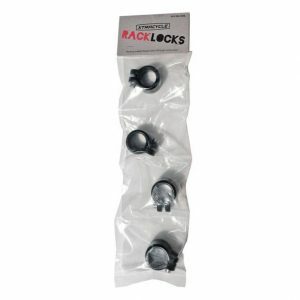 Why are these components (Hooptie, Kickback) so expensive? Backwards, forwards, and every which way, the Hooptie makes hauling the kiddos around fun for everyone. I ride my Edgerunner with my 14 month old. He sits in a Yepp Maxi and the hooptie gives me extra security with his safety. Once he’s out of the Maxi, he’ll be able to enjoy the free side just with the hooptie. The Hooptie was central to our comfort when we first put our kid on the back at age 3. She loves it so much she calls the bike “the hooptie.” It gave us more peace of mind than stoker bars in case she or the bike fell. It’s let us add on a little friend. It can also widen to accommodate larger cargo. Plus we even attached a coffee cup holder for a bike trip to put her water bottle in! My boys love riding on the back of the EdgeRunner, and the hooptie keeps them nice and secure. These safety bars “hooptie” are really easy to use, adjustable width and the kids love them and feel really safe and secure when riding with me. my kids are 5 and 7 and fit the narrower width comfortably. I’ve actually graduated to only one side making it easier for them to get on and off the bike and they still feel very safe and secure. I love the hooptie accessory. I put all sorts of fragile things on top of my platform (including my children) and with the hooptie they are contained and can be strapped down (the things, not the children) in a way that does not crush. 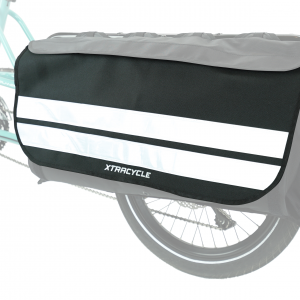 I have not had side bags on my xtracycle for some time now, because the hooptie has me covered for cargo. LOVE IT! The hooptie has been great for our four year-old. It adjusts size easily and is easy for our child to hold on to for support. The design is smart and practical. 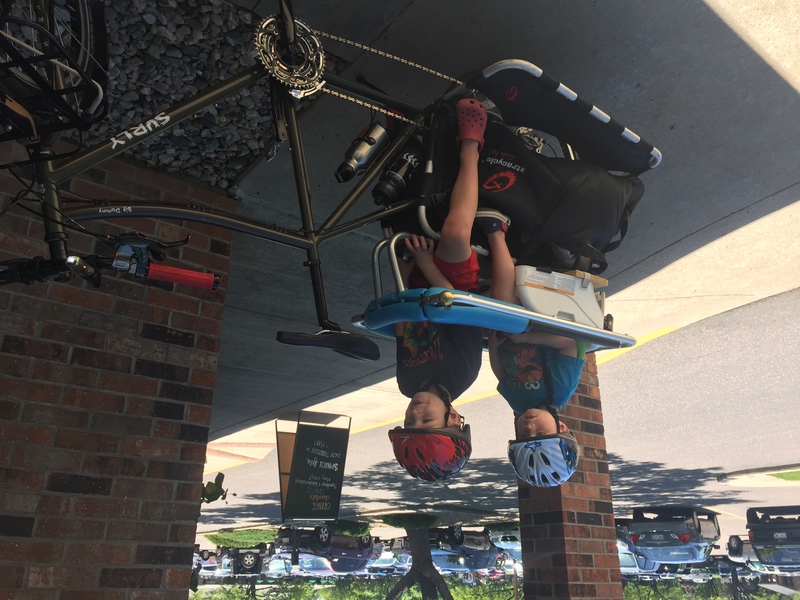 For anyone who uses the Xtracycle to transport a larger child, it is a must have. My 4 year old daughter loves the hooptie. She has ridden with the handlebars, but prefers the extra security of the bars. I like how it gives me extra cargo space when I’m shopping for our family of 5. Any chance this will work with a 2012 trek transport ? Hi Dave! Unfortunately, the Hooptie is designed specifically to work on our platforms and will not fit a Trek Transport. I would contact them directly to see if they have a solution to carry kids on their platform. Hey there, Wez! The LT2 Hooptie doesn’t indeed fit the Tern Cargo Node.